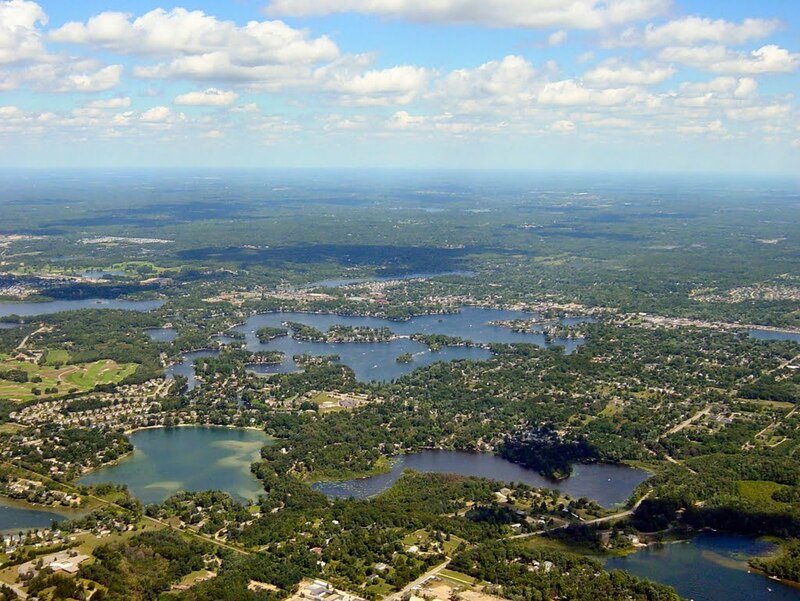 Lake Orion, less commonly know as “Orion Lake”, is a medium-sized inland lake, with an area of 482 acres. It has a maximum depth of 80 feet and an average depth of 16 feet. The lake is located within the Village of Lake Orion in Orion Township. 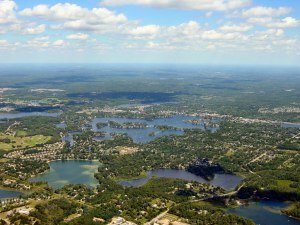 It is the seventh largest lake by area in Oakland County. The current area of the lake was formed by a collection of smaller lakes over time, beginning with the damming of Paint Creek in the 1830s. Canals have also been dredged to maximize lake frontage. There is a public access boat launch on the northern side of the lake that is administered by the Michigan Department of Natural Resources. 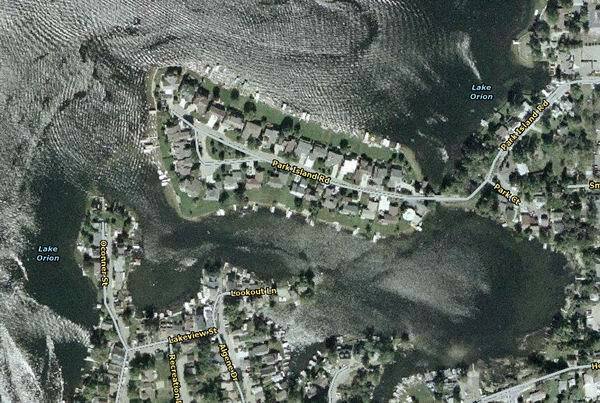 There are several islands in Lake Orion, some of which feature seasonal and year-round residents. The largest islands, Bellevue and Park, are connected to the mainland by two land bridges and are populated year-round. Most boats can pass under the Bellevue Bridge, which has a clearance of 9.6 feet. The Park Island bridge has a lower clearance that allows only canoes, kayaks and rowboats to pass underneath. Victoria Island is the third largest island, and is home to several seasonal homes. Sweet’s Island is home to the Lake Orion Boat Club, and features a private boathouse and docks for the LOBC members. Romance Island, Preston Island, Dot Island, and Armada Island are all small islands that are home to seasonal and year-round cottages. A smaller island, Squaw Island, was previously home to a single residence from the 1850s to the 1950s. Little remains of this island due to erosion, and the shallow waters surrounding it can be a hazard to boaters. The residences on all islands except from Bellevue and Park require the use of watercraft to travel to and from the mainland.